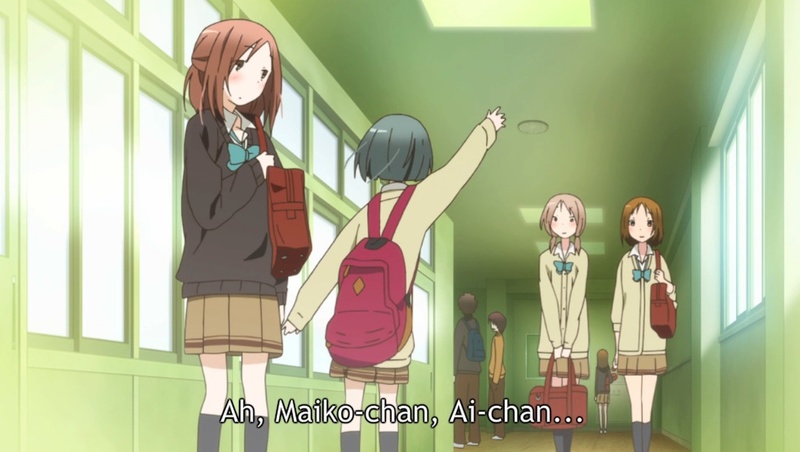 Cutest in this season, and of course, Fujimiya-san from One Week Friends. 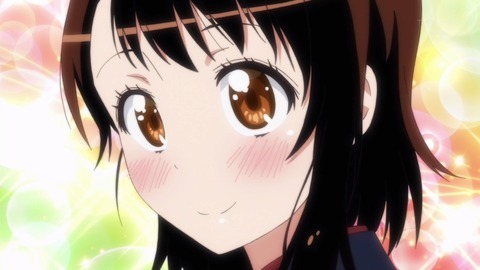 And Onodera of Nisekoi. 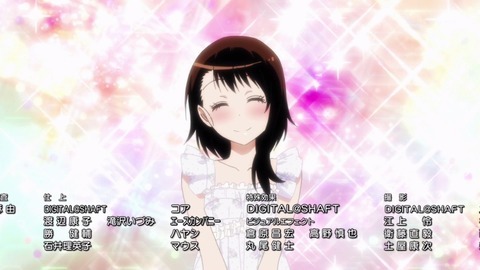 Let’s start with Onodera. 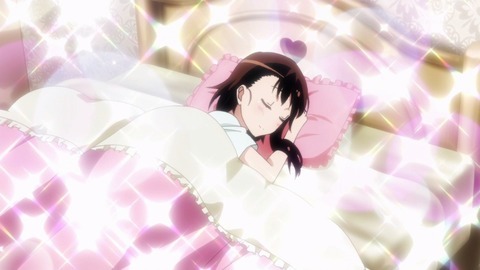 Ahh, Onodera’s room is so cute. That just got me.. So kawaii, so girly! The bed she sleeps in, ah, I want to sleep in it too! And the way she smiles, really angelic! (maji-tenshi) As if she accepts the whole me..
And she is the daughter of mom and pop japanese confectionary store (wagashi-ya-san), yes, she is the heir, inheritor of a family business of historical wagashi! Ah, totally Yamato-nadeshiko! You can’t find this angel in this 3D world, samsara. And the uniform she’s wearing at her family wagashi-ya, hooo. 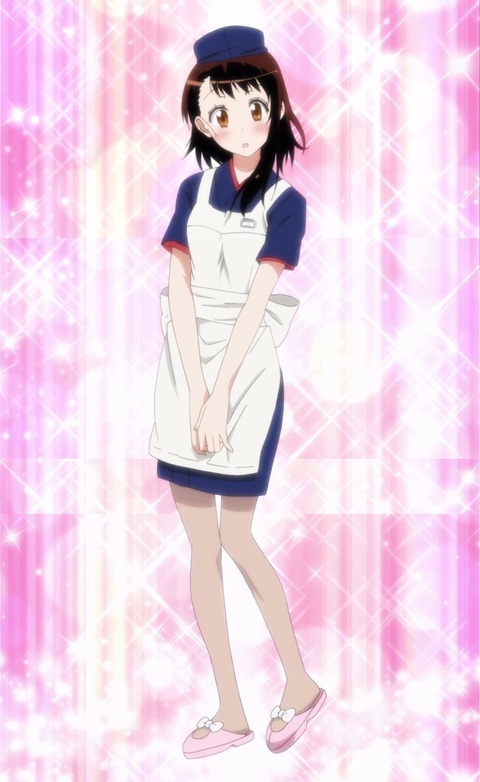 I wish I could be this horsesh@t typical romantic comedy protagonist, making wagashi together with Onodera. 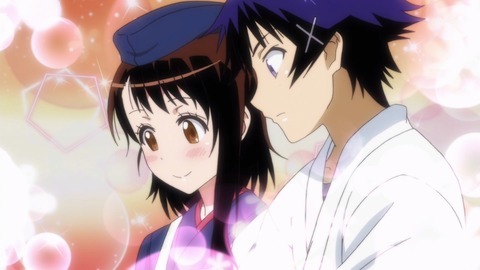 Yes, I want to be muko-youshi (婿養子 “groom to marry into her family”), so my last name shall be Onodera, Monsieur Onodera! And a girl next to you look at you like this! I’m like “buhiiiiiiii!! !” like moe pigs drowning themselves in the lake of moe. 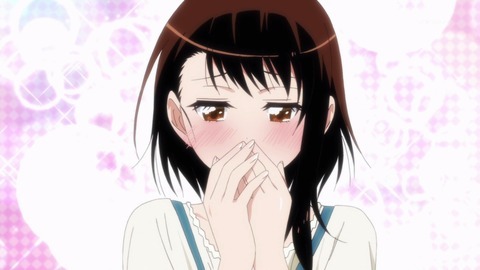 I almost forgot about Krista from Attack On Titan, oh Onodera is my potential wife, or yome. 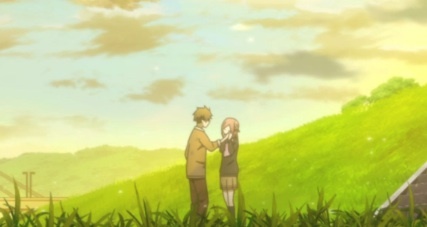 The latest episode of One Week Friend. Ahh, for proletarians, this is really what we need! Girl’s cheek to heal our wounds on labor hands. We have to work to earn living and make ends meet. Our hands are worn out from menial tasks. But otaku have no one to heal their wounds. 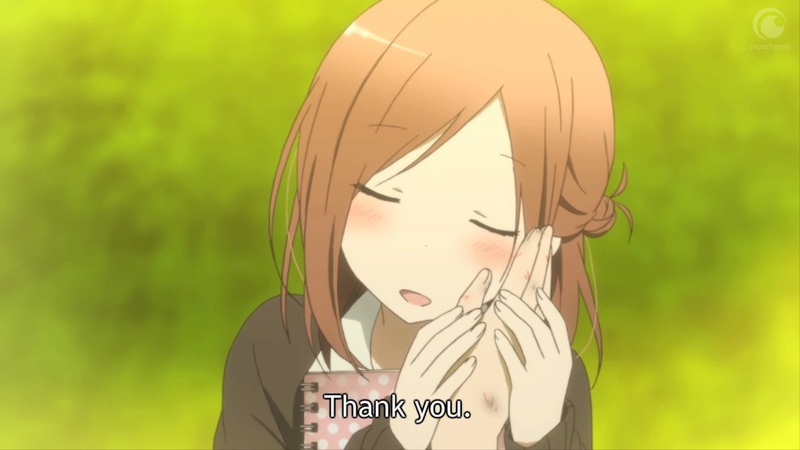 But Fujimiya-san, ahh, with her holy smile and appreciation, the wound she heals, as if my wounded heart is getting healed by her. Oh my gosh, I so want to cry! Truly my wife~! Proletarian heroine is something to be!!!! 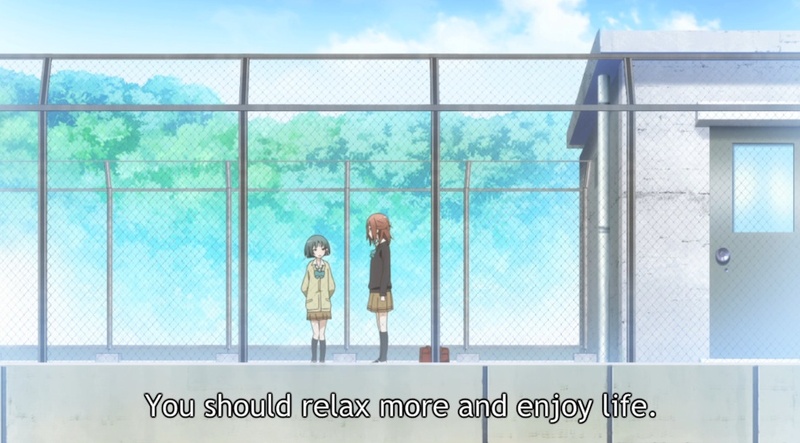 But Yamagishi’s life view, I totally agree. Yes, very yutori (relaxed), as my generation are. As I live in America, the mecca of capitalism, I really feel that Americans should just take it easy. We work too hard, and probably heading to karoushi (overwork death). Yes, we proletarians should all take it easy and enjoy life, as Madagascar’s Merina people saying, “Mami ny aina.” Life is sweet. La Dolce Vita. We should all be more lazy as we have the right to be lazy. And yes, girls’ friendship is the ultimate pleasure of the world. Nothing is more valuable than female friendship. 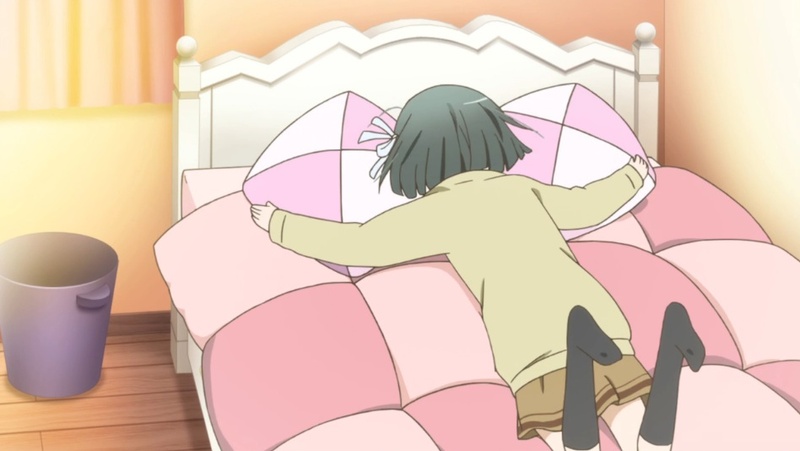 Yes, I want to dive onto Fujimiya’s bed as well! So, moe moe! If a guy does that, he will go to prison instead, ahh, how I wish I was a girl…thus, I can’t celebrate Boy’s Day, May 5th, or Cinco De Mayo. I always go to coffee shop to see girls smile, because they are the only girls smile at me in real life. But you know, they are all trained to smile at customers, as I’m just one of the customers to them. It’s just a business. Yes, capitalist smile like Shiba-Inuko. But, anime, ohhh, when anime girls smile, I really feel connected to these angelic 2D girls, and this connection is moe! Previous PostHappy Birthday To “Fairy Tail” Mangaka Hiro Mashima (May 3, 2014)Next PostWas “Pokémon Omega Ruby” & “Alpha Sapphire” Announced Too Soon?